NOTE: Please mail your reservation form and check soonest. MUST BE RECEIVED NLT 22 MAY 2017. Click here to download 2017 Reunion Registration Form. 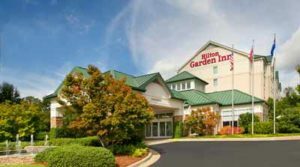 Hilton Garden Inn, Columbus, Georgia – 21-24 June 2017. To make hotel reservations, call 706-660- 1000. Identify yourself as being with the “26th Infantry Regiment Association” that is having a reunion in June 2017. The guest room rate for those attending the reunion is $119.84 per night, and includes taxes, Breakfasts, and two guests per room. Our Group rate is available 3 days pre- and 3 days post-reunion window. Parking and internet are free. If you encounter any problems making reservations contact Ms Gayla Johnson (gjohnson@vhghotels.com) Sales & Catering Manager. Or call or email the event coordinator: Mike Menser (706) 718-9751: mike.menser@icloud.com. Command Post (CP). Tom Wills has graciously volunteered to oversee the CP operations again this year, and volunteers to help run the CP are being sought. Open Wednesday 1200- 2300; Thursday 1500-1800 and 2000-2300; Friday (TBD); Saturday 1200-1830 and 2030-2300. All times approximate. Supply Room. Located in boardroom across from CP. Hours generally follow the hours of the CP. Silent Auction. Located in the boardroom. Hours generally follow the hours of the CP. Last auction bids on Saturday, 24 June @1200. We need help in two areas. First, we need contributions that can be auctioned off—all proceeds go into Association fund and help to further our mission. Second, is volunteers donating time and energy to help run this year’s auction (phone Mike Menser (706) 718-9751 if you can spare a few hours while at the reunion. Annual Association Business Meeting. Located in the CP/Ballroom, 24 June, 0930-1100. We are expecting a larger than usual turnout, so let me emphasize importance of early registration in order to guarantee these rates and have enough room for all attendees. There is an overflow hotel but it is a couple miles away. Thursday 22 June – History, Lunch, Shopping. “Little White House”.From there we move to lunch at nearby historic Bulloch House— for buffet lunch. After lunch explore quaint Warm Springs and some unique shops. Board busses for return to hotel at 1300 hours. Ladies tea 1500. 1730 bus to VFW for our Welcome Dinner buffet, music and dancing. Friday 24 June – National Infantry Museum, Fort Benning. 0800 hours (NLT) board buses to NIM; debark in front of museum, for short walk to reserved seats at Patriot Field for the graduation ceremony of a One Station Unit Training (OSUT) company. This is a one-hour great event and very interesting. Then walk to the National Infantry Museum and break into small groups for guided tour. After the guided tour, we are on our own to explore the museum and gift shop. 12:30 re-board the buses. On return to hotel, a lunch of pizza and salad will be waiting in the CP. Where can I get the form to choose the meal on last day? Last year we had a form to send in with the money. Can I pay for the evening at the command post when I check in? Hello, can you tell me when and where the 2018 reunion will be held? The Hotel is the Courtyard by Marriott located in Concord, North Carolina. Please click on the link on the home page for complete information.